Time for Analysts Everywhere to Take Data to the Next Level! Big data technology and tools make it possible today for anyone in the company who needs it to have access to information and get insights from their data at lightening speed. No need to be constrained by the busy timetable of data engineers and data analysts to get access to data and dig in. For analysts, or any of us non-data scientist or -data engineer people, the question remains: how do I make the transition and bring the power of big data analytics into my day-to-day work? 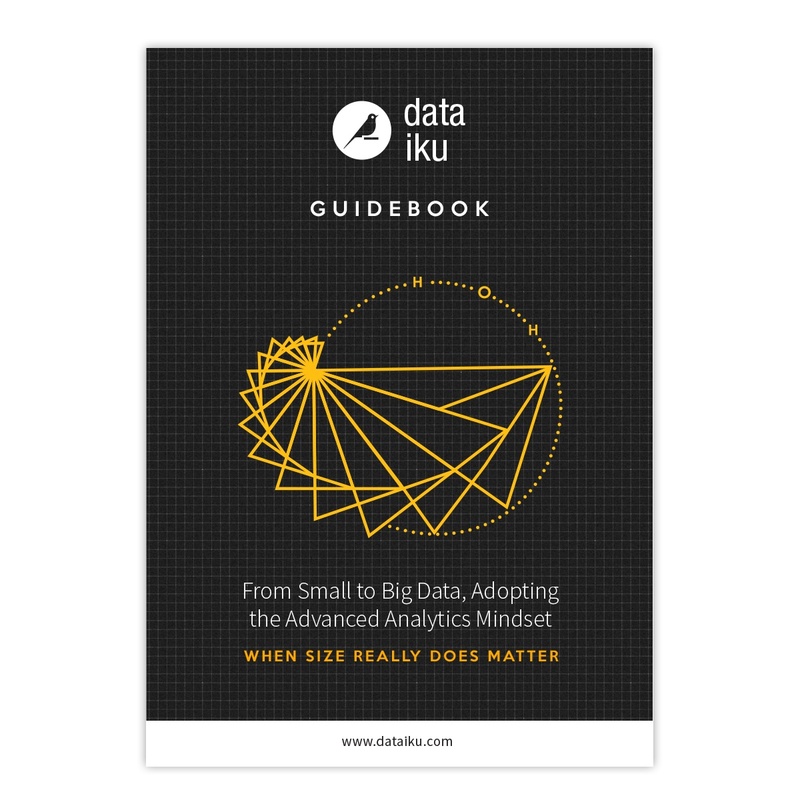 Going from small to big data requires understanding the new mindset. In nine steps, this guide book can help you with that. Dataiku develops the unique advanced analytics software solution that enables companies to build and deliver their own data products more efficiently.